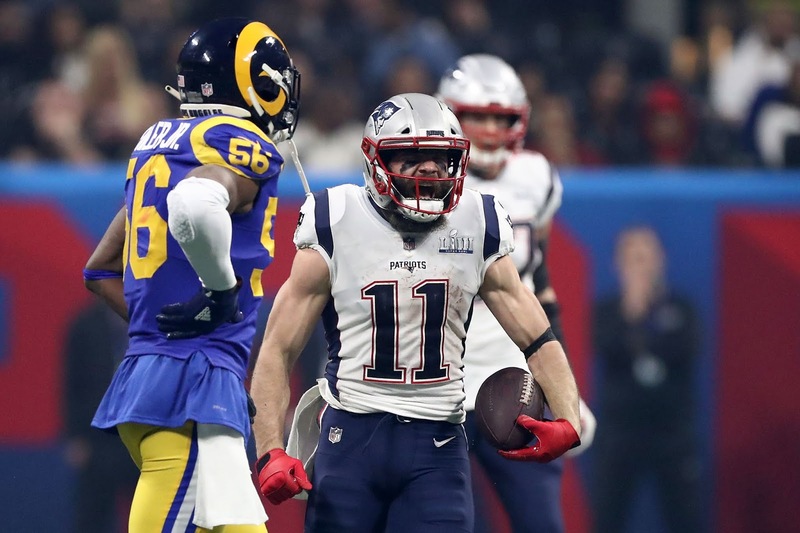 Edelman correctly declares that the Rams "can't cover me"
The Rams secondary seemed to have no answer for Julian Edelman during Super Bowl LIII, as he hauled in 10 catches for 141 yards and got himself the Super Bowl MVP. In a clip from Showtimes "Inside the NFL", a fired up Edelman was shown on the sidelines telling Tom Brady to "keep it going, they can't cover me". This certainly was the case, as the Patriot offense had its struggles getting into the endzone, they had no problem at all giving the ball to an often wide-open Julian Edelman as he ripped apart their secondary. Luckily for the Pats, Stephon Gilmore made the clutch interception near the end of the game, allowing Brady and the offense to run the clock near to nothing, icing their 6th Super Bowl win. So despite Ndamukong Suh's claim that they were able to shut down Edelman, he was still able to be very productive in his 3rd Super Bowl win and continue to cement himself as one of the most clutch guys in Patriots history.